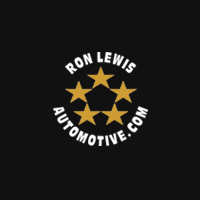 At the Ron Lewis Automotive Group, we are proud to support our communities – from needs in our local neighborhoods to larger regional and national initiatives. We provide sponsorship and support for Pittsburgh-based organizations such as Christopher’s Kitchen, Tiger Pause of Beaver County, FOCUS of Western Central PA, the Autism Society of PA, Variety Children’s Charity, McGuire Memorial, the Pathfinder School, as well as many local youth sports teams and events. We also support larger fundraising initiatives and local events such as the Pittsburgh Vintage Grand Prix, the Beaver Falls Car Cruise, the JDRF One Walk and the Breast Cancer Research Fund. Although we cannot support every organization that approaches us, we evaluate every opportunity and are always interested in giving back and lending our support where we can.